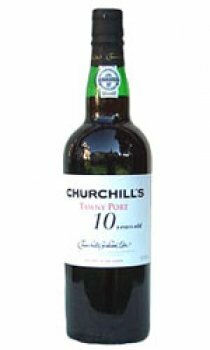 Churchill's 10 Year Old Tawny starts its life like young Vintage Port. Although fully aged in wood, it still retains the freshness of youth, which is reflected in its darker brick red colour and lively finish. 'Unquestionably the finest Tawny I've tasted in years. What makes it profound is its complex fragrance of roasted nuts and sweet fruit. There is impeccable definition and richness, a velvety texture and a long lusty finish. It is all a Tawny should be. Robert M. Parker Jnr. 'The Wine Advocate'.